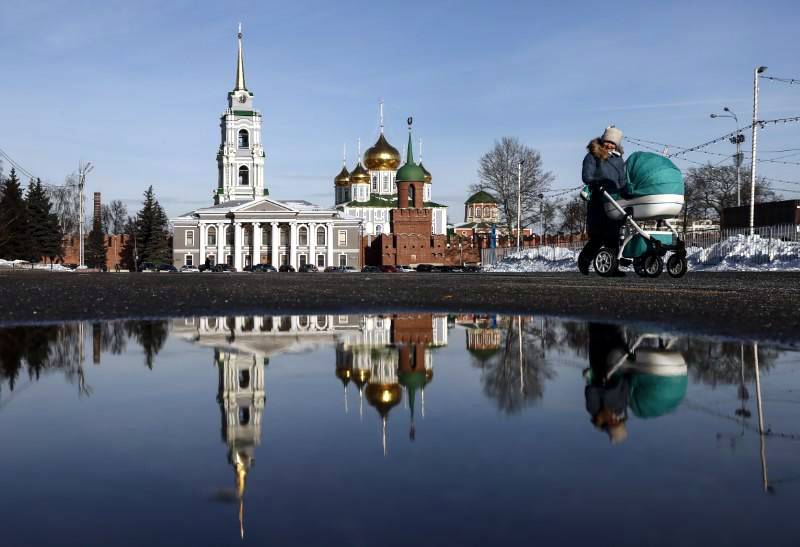 A woman pushes a pram near the Kremlin in Tula, south of Moscow, Russia January 26, 2018. The United States plans to sanction Russian oligarchs this week under a law targeting Moscow for meddling in the 2016 U.S. election, sources familiar with the matter said on Wednesday, in what could be the most aggressive move so far against Russia’s business elite. [post_ads]The action, which could affect people close to President Vladimir Putin, reflects Washington’s desire to hold Russia to account for allegedly interfering in the election - which Moscow denies - even as U.S. President Donald Trump holds out hope for good relations with Putin.